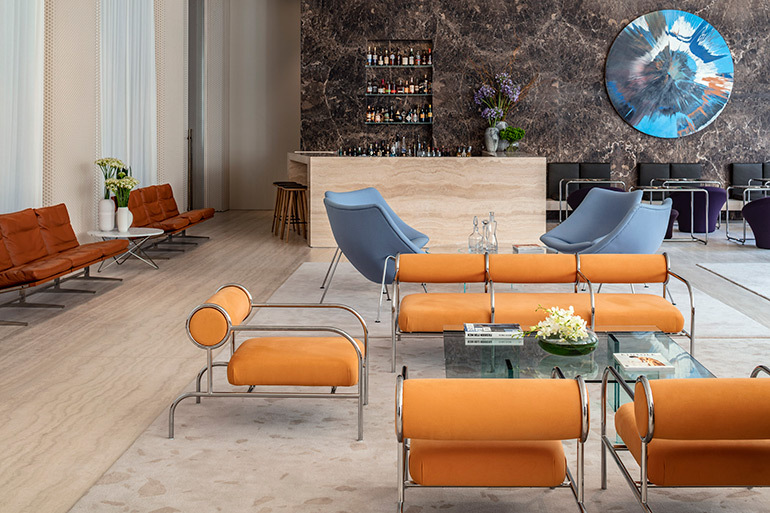 New York-based hotel and real estate company RFR Holding has recently opened their first hotel in Israel – The Jaffa, Tel Aviv – operated by Marriott’s The Luxury Collection Hotels & Resorts. 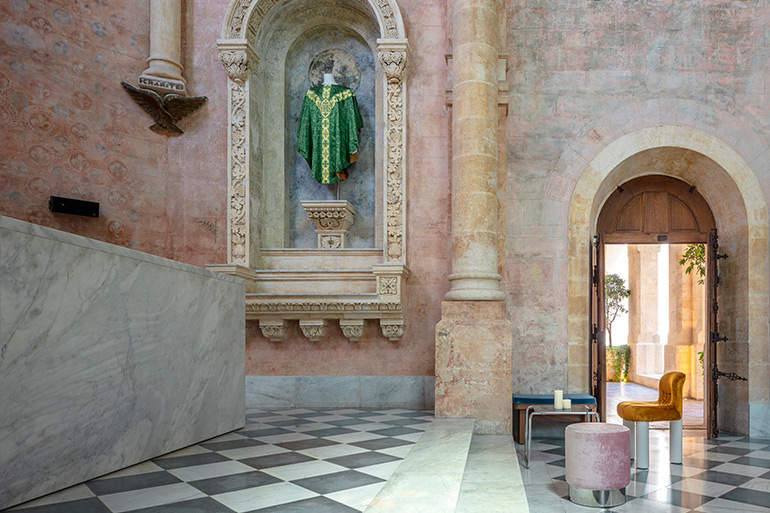 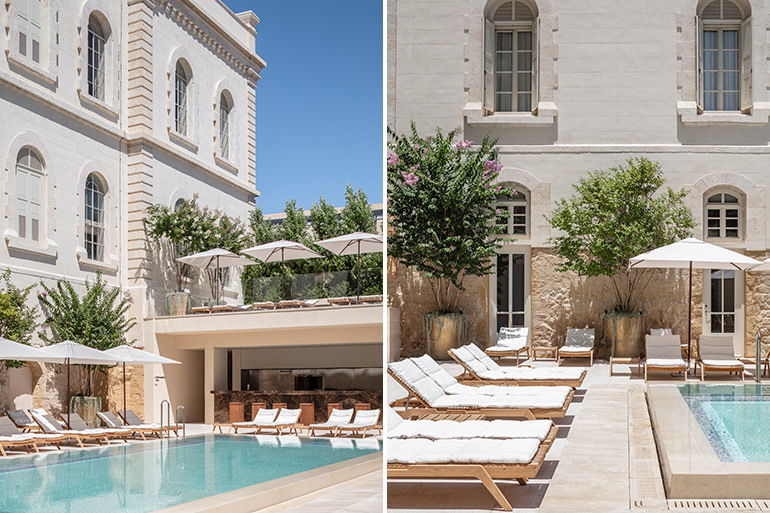 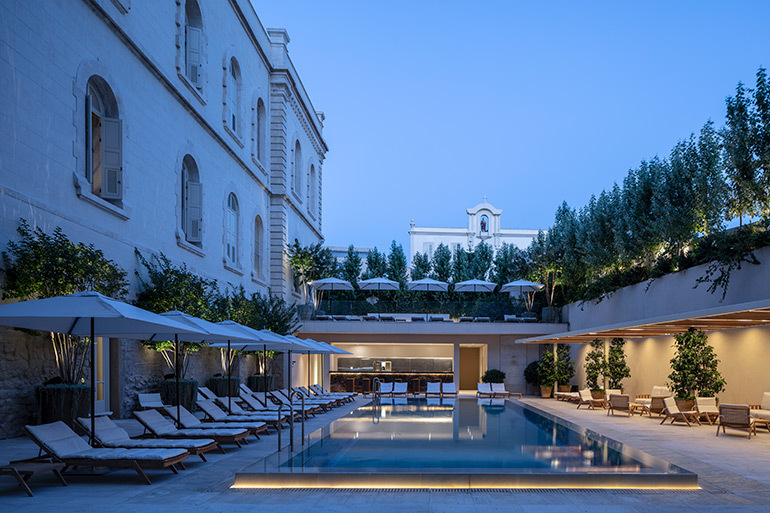 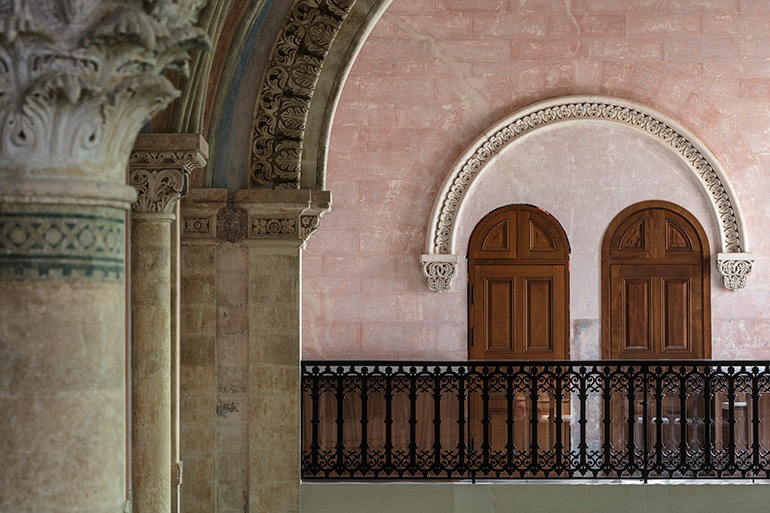 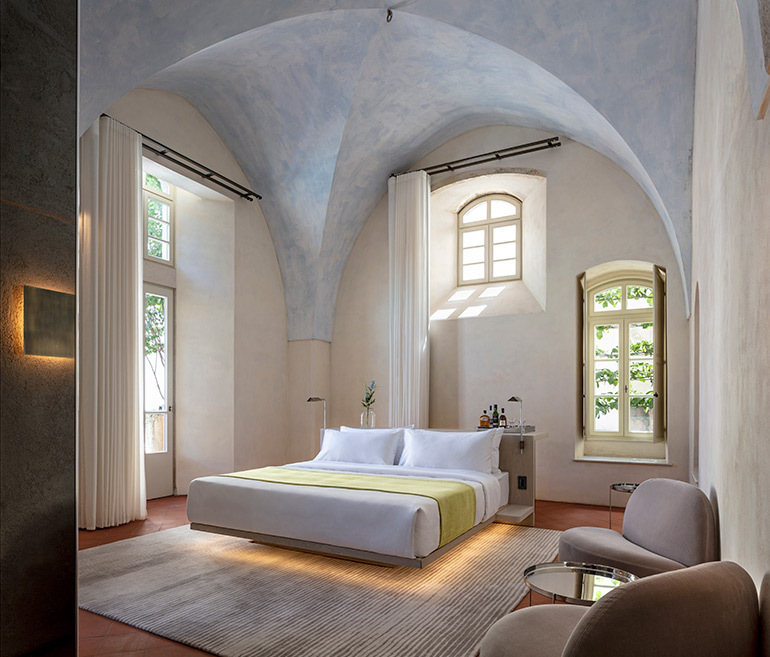 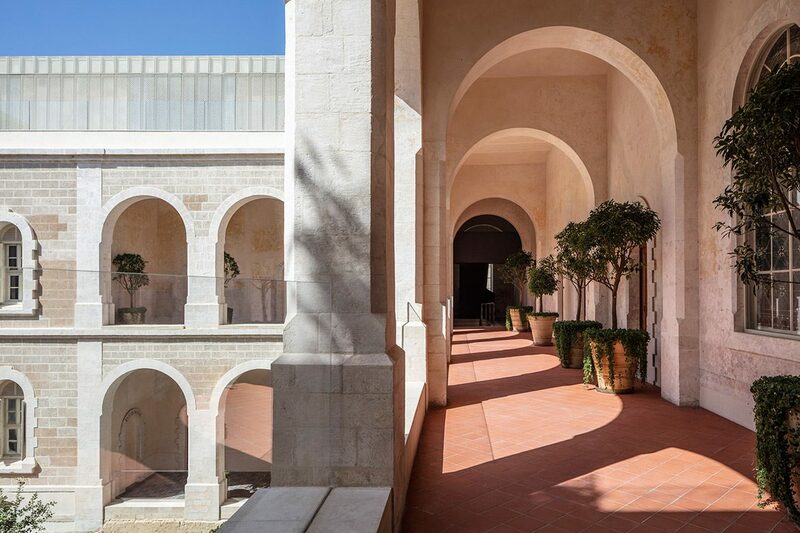 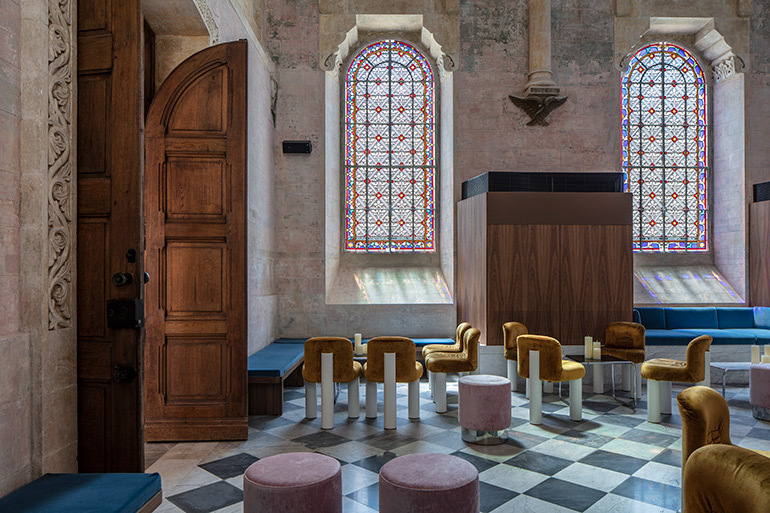 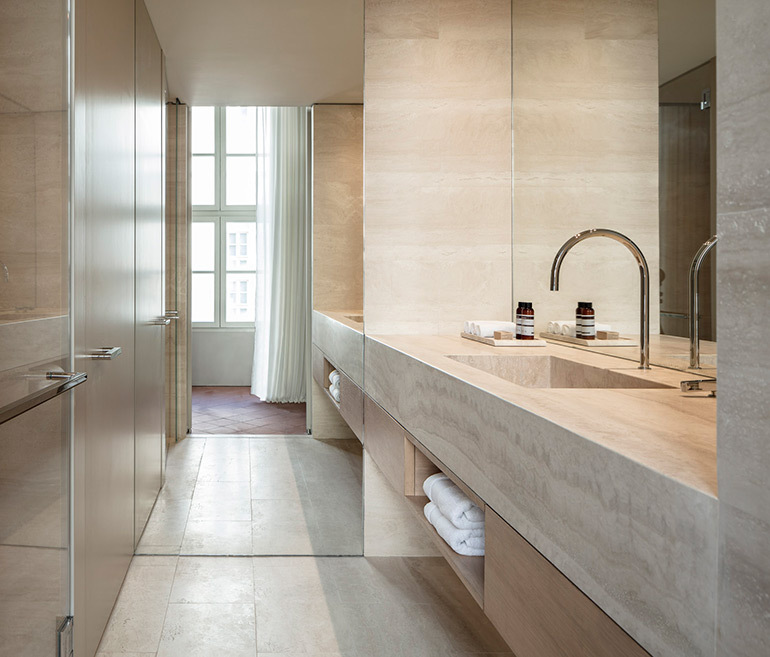 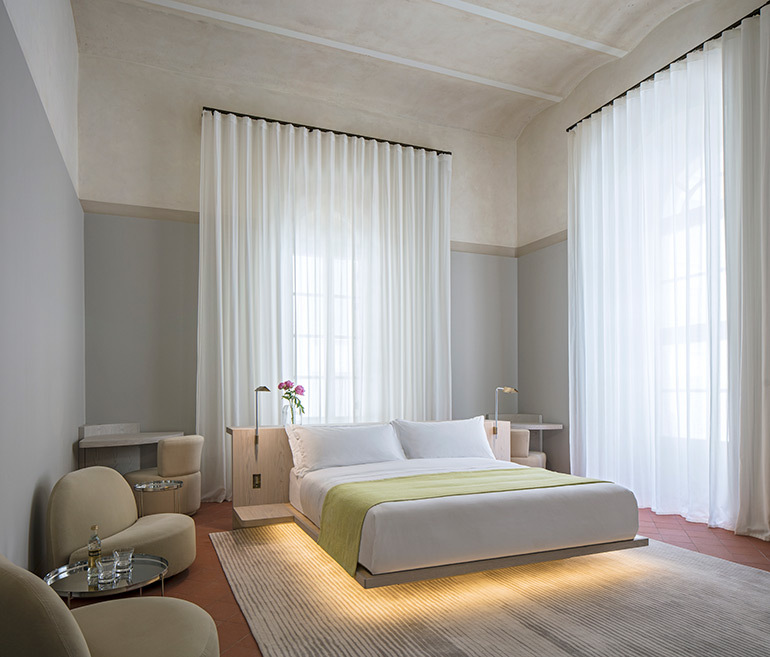 Designed by renowned British designer John Pawson, the hotel occupies a 19th century neo-Roman former French hospital and monastery and an adjoining new building. 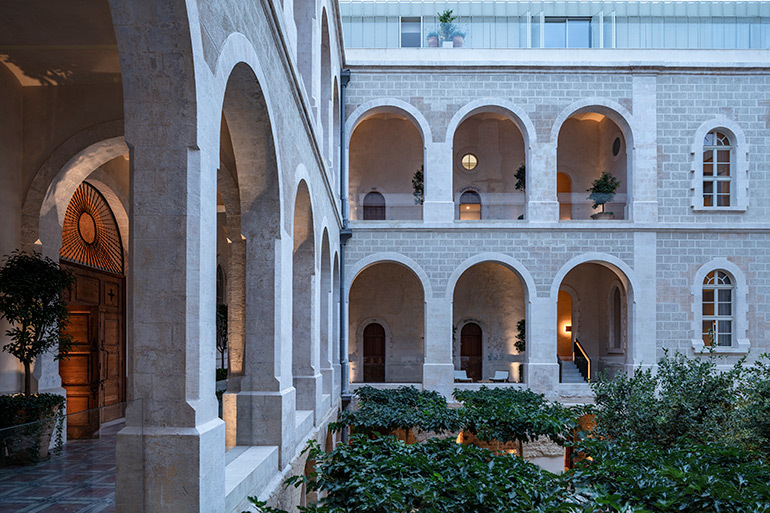 Overlooking panoramic views of the 4,000-year-old Jaffa port, the Mediterranean Sea, and Tel Aviv city, The Jaffa offers 120 hotel rooms and suites, 32 luxury residences, and a roster of impressive amenities. 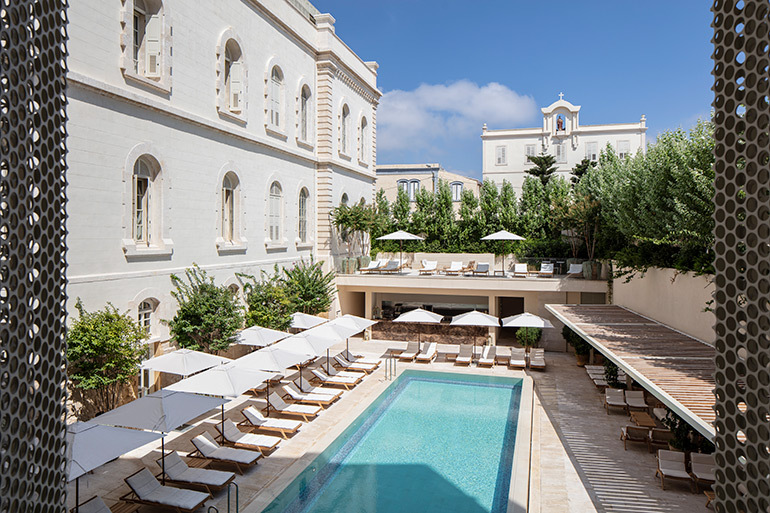 These include an outdoor pool, sundeck, and bar, The Chapel bar lounge, an L. Raphael luxury treatment and beauty spa, fitness center, a Shesh Besh backgammon lounge, Tamarindi boutique store, and two signature restaurants that are being operated by the acclaimed New York-based Major Food Group. 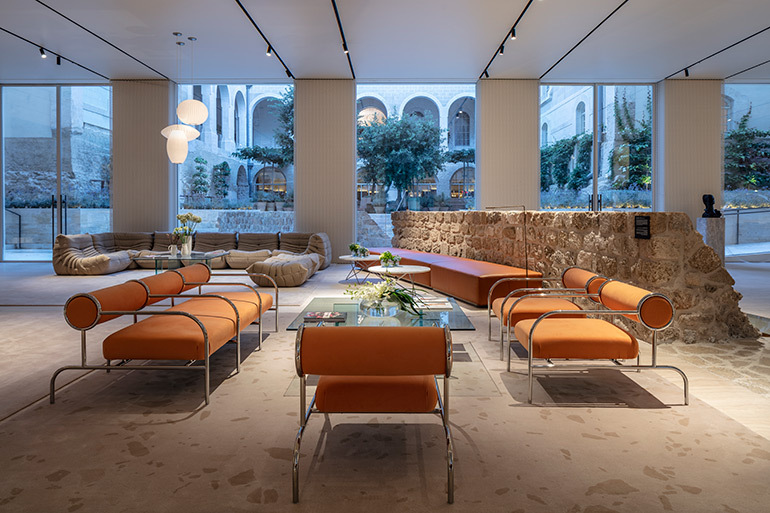 Pawson brought his signature minimalist style to The Jaffa, juxtaposing the building’s grand history and seamlessly blending old with new. 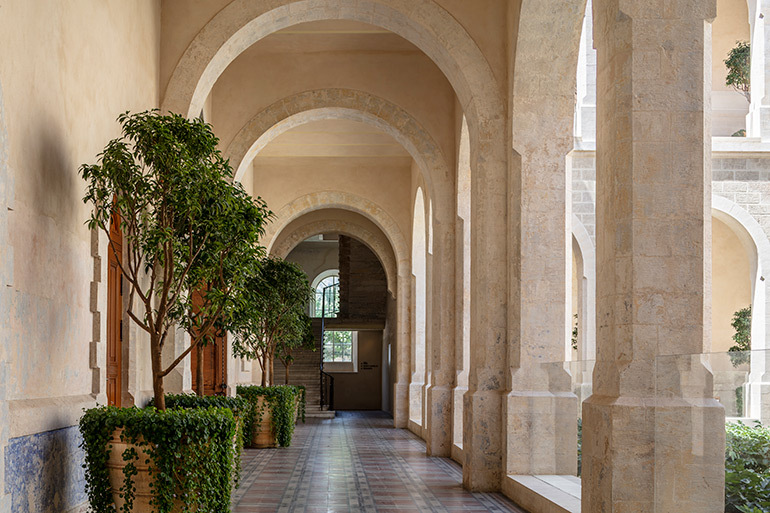 Together with local conservationist architect Ramy Gill and a team of restoration experts, the neo-classical building was lovingly restored for over a decade, maintaining the raw untouched surfaces. 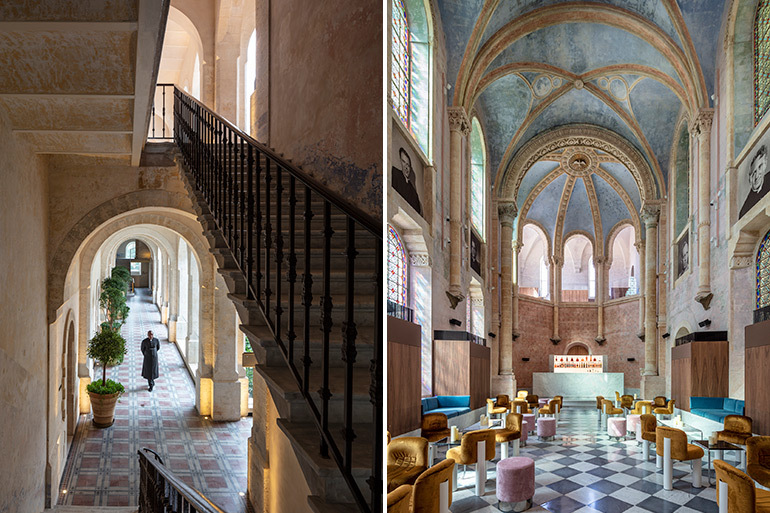 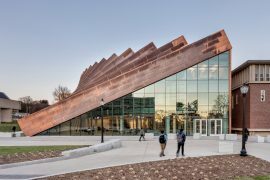 The existing façade includes outdoor corridors with arched collonades, and the plastered walls were scraped down to reveal the generations of patina that touches the building’s signage and paint patterned walls, paying homage to the building’s historic beauty. 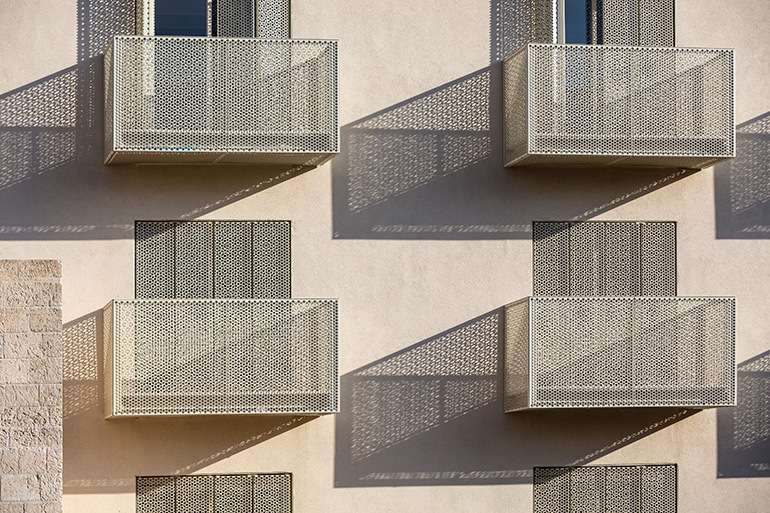 Pawson reflects on local culture by incorporating subtle odes to traditional Middle Eastern architecture, such as the Mashrabiya, and combining it with contemporary motifs and patterns spreading through the hotel, alongside contemporary photography by Israeli artist Tal Shochat featured in all the guest rooms. 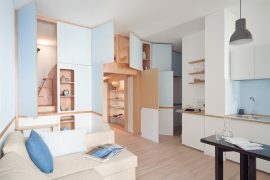 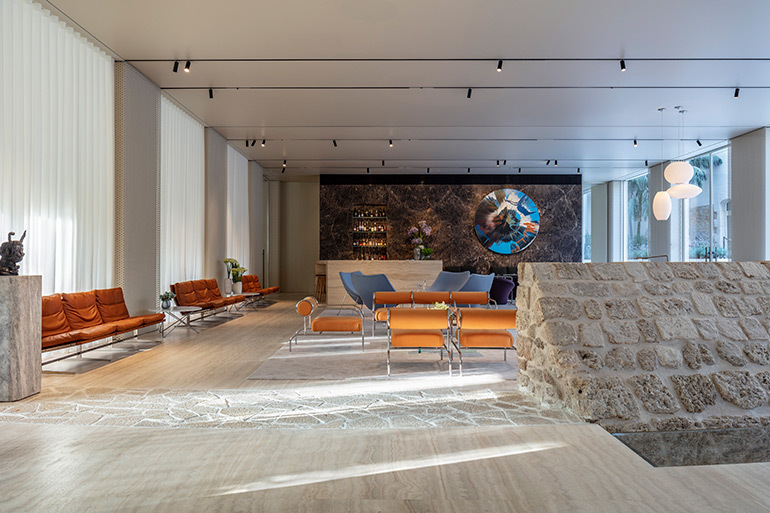 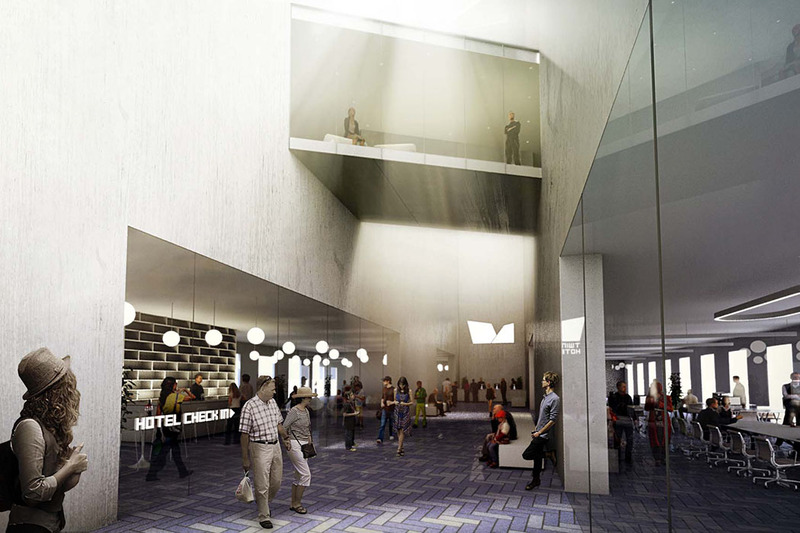 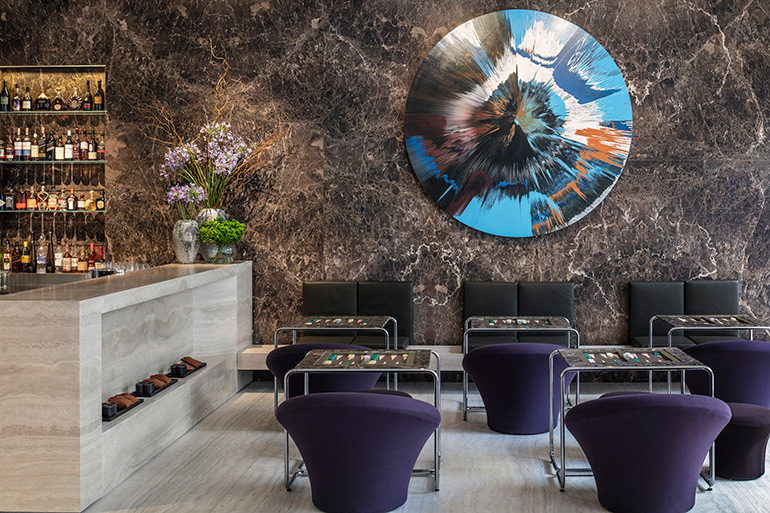 The Pawson modernist lobby located in the new building features remnants of a 13th century Crusader’s bastion wall, uncovered during the excavation of the project, which contrasts with the mid-century design classics from Shiro Kuramata and Pierre Paulin and modern art by Damien Hirst. 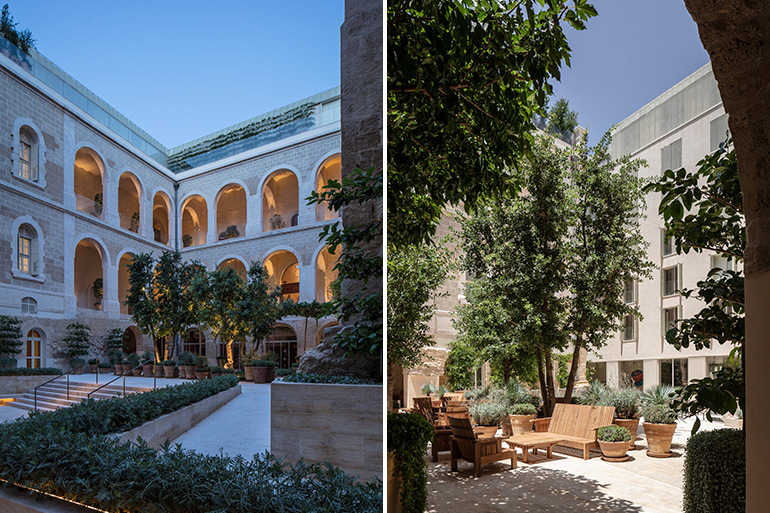 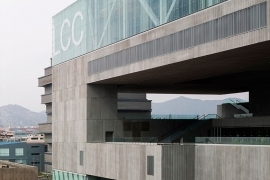 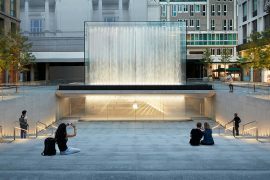 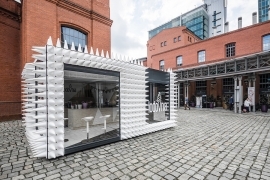 The U-shaped historical building and the new building surround the heart of the space – a secluded, luscious courtyard enveloped under a canopy of trees that provides guests a tranquil oasis within the bustling city, where they can enjoy either of the two restaurants or simply relax in the outdoor space.